Wedding Reception Music Basics | Wedding Ideas ARE YOU A VENDOR? Creating the perfect playlist for your wedding reception can be tough. 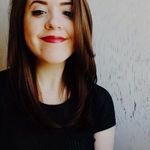 If you’re struggling with choosing songs, here are a few pointers and song suggestions to guide you. Working on crafting the playlist for your wedding reception? We’re here to help. From entrance songs to your final dance, there’s a lot of tracks to queue up. These are all the songs you’ll need to remember and a few suggestions. Remember, you can always ask your DJ or band if you get stuck along the way! 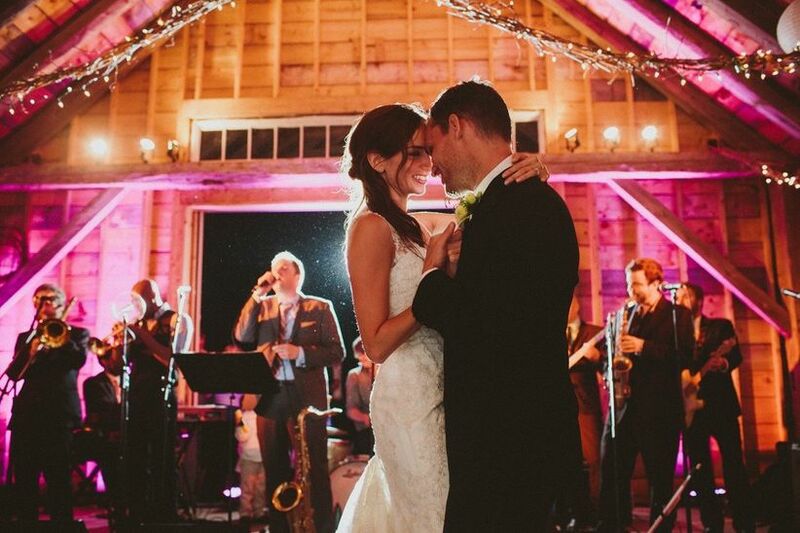 Here are your wedding reception music basics. The couple and the wedding party can’t enter in silence! Talk to your friends and family about what they’d like for their entrance song to get a few ideas. Once they’ve entered the building go with a second song to hype the crowd up for your own entrance. Hits like Pink’s “Get The Party Started” or Michael Jackson’s “The Way You Make Me Feel” should do the trick. When it comes to your first dance, you’ve got options. A lot of couples choose to kick off their reception with their first dance, using their foray into the venue as their starting point. If you want to wait for your guests to settle down, opt to have your first dance during dinner or before the dancing portion of the evening kicks off. Choosing the song for this one should be a piece of cake. You probably already have “your song”, so you might want to go with that. If you need a few suggestions, Frank Sinatra’s “The Way You Look Tonight” and Ellie Goulding’s “Your Song” work nicely. You’ll want to pick a slow and sentimental track for your dance with mom or dad (or other family member). Tried and true options are Ben E. King’s “Stand By Me” and Louis Armstrong’s “What A Wonderful World”. They may want to have some say in what song you choose, so consult them before finalizing your playlist. You don’t want the music to overpower the conversation during dinner, so go with some softer tracks while your guest’s enjoy their meal. This is a great time to use instrumentals because they’ll keep your company from getting caught up in the lyrics. Ludovico Einaudi has some beautiful classical pieces to choose from. Now it’s time to get your guests dancing! Usher them onto the dance floor with upbeat tracks that everyone is familiar with; think top 40, motown classics and karaoke-approved jams. Bruno Mars’ “Uptown Funk”, Beyonce’s “Love On Top” and Whitney Houston’s “I Wanna Dance With Somebody” are all good jumping off points. 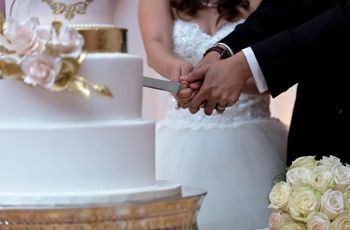 Cutting the wedding cake is the perfect opportunity to go with a sweet song. Any track that references sugar, candy or confections will do. Fan favourites are U2’s “The Sweetest Thing” and Maroon 5’s “Sugar”. If this seems too cheesy for you, feel free to skip playing off of the theme and go with one of your favourite songs instead. 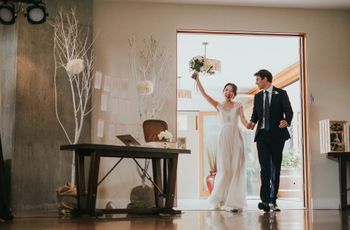 Sexier tracks are perfect for the bouquet and garter toss, so go with something like Nelly’s “Hot in Herre” or “Lady Marmalade” by Christina Aguilera, Mya, Lil’ Kim and Pink. Tip: make sure the lyrics are PG as you’ll probably have a few younger and older crowd members. 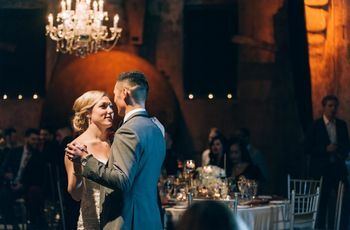 You’ll want your slow dances to cater to every generation at your wedding, so make sure to span genres when choosing them. Include classic’s like Elvis Presley's “Can’t Help Falling in Love” as well as more modern hits like Thomas Rhett’s “Die a Happy Man”. If you don’t feel confident in compiling a song list that flows, you can always consult your DJ or band for suggestions. You’ll want to close out the night with something that says “you don’t have to go home but you can’t stay here” (and hey, if you want to be literal you could choose “Closing Time” by Semisonic). 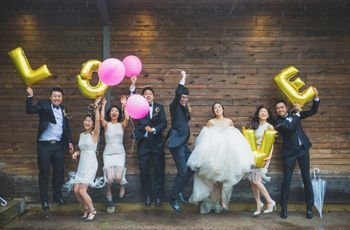 Most couples opt for more upbeat tracks to wrap things up, so think about choosing something that’ll get all your guests out of their seats and onto the dancefloor. Fan favourites include Lionel Richie’s “All Night Long”, The Foundations’ “Build Me Up Buttercup” and R Kelly’s “Ignition (Remix)”.